The graphics card you choose for your hackintosh is arguably the most important component of the entire system. 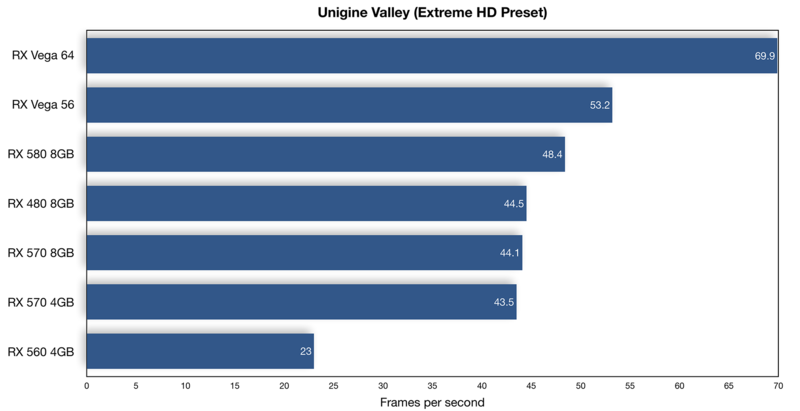 For graphics intensive tasks like gaming and video editing, it is the GPU that has the most impact on performance. 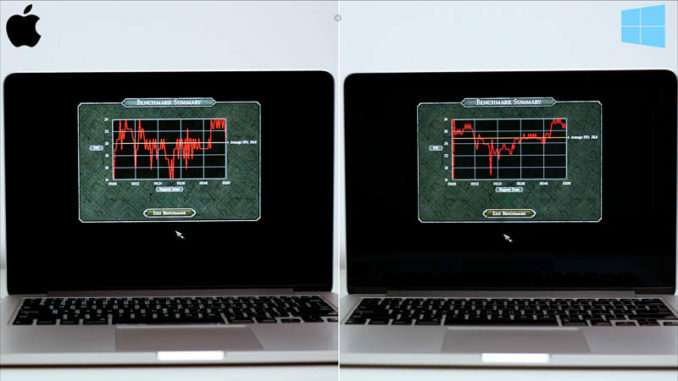 Here, we benchmark and test seven different graphics cards to see how they compare in terms of performance under the latest version of Apple’s Operating system – MacOS X 10.14 Mojave. 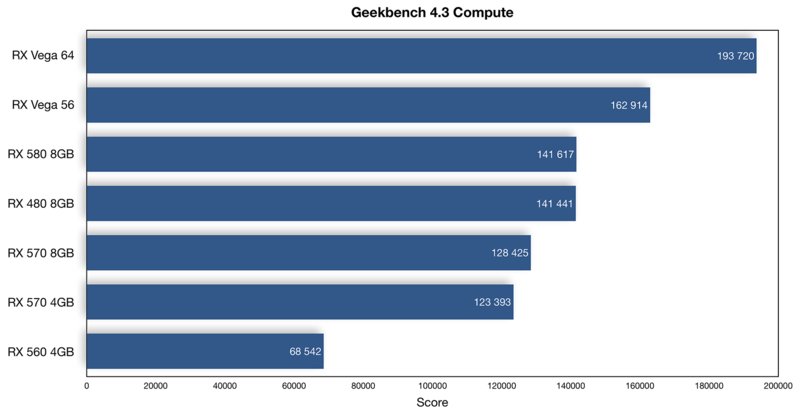 There is a slight increase in performance across the board when compared to High Sierra. Apple’s native support for GPU’s based on the AMD Polaris architecture, introduced in High Sierra 10.13.4, continues in Mojave. 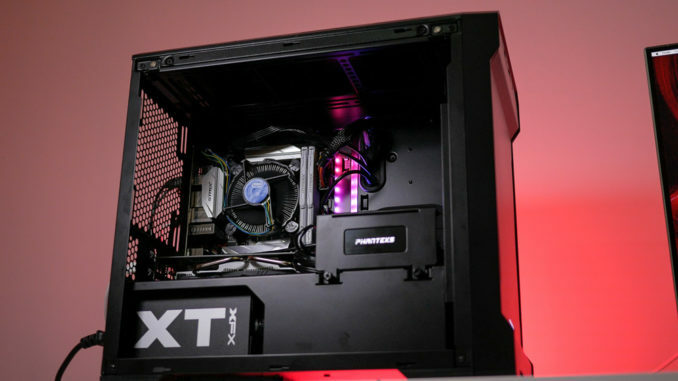 AMD cards, therefore, work out of the box, with no need for additional drivers. Apple officially lists support for the AMD Radeon RX 470, RX 480, RX 570, RX 580, and Radeon Pro WX 7100, but the RX 560 will also work without any additional drivers. All of these cards will also work in a real Mac, in an external GPU enclosure, however there is a performance hit of around 20% compared to the same card in a hackintosh. 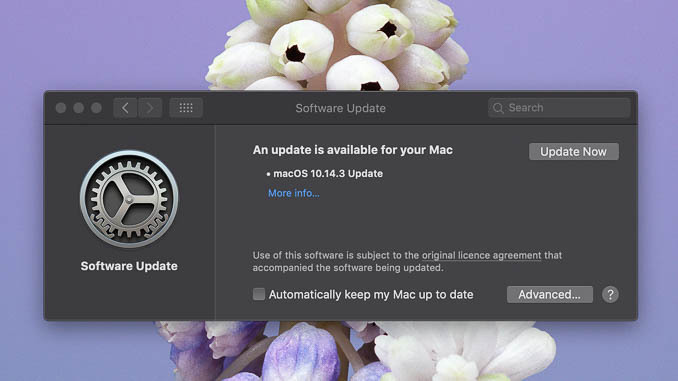 At the time of writing, there are no drivers for Nvidia cards under Mojave, although a Nvidia representative has stated that they are currently working with Apple to make drivers available. We tested seven different graphics cards, from the budget RX 560 up to the high-end RX Vega 64, using four different benchmarks. The RX 560, while being the slowest card tested, is also the cheapest. 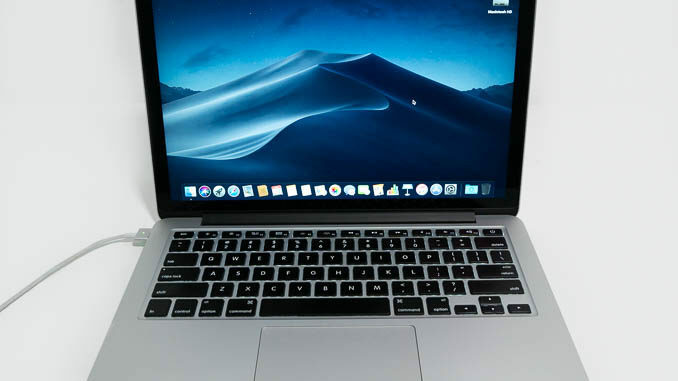 At under $150, this card is still significantly faster than the dedicated graphics chip in the current model 15″ MacBook Pro with touchbar, for example. 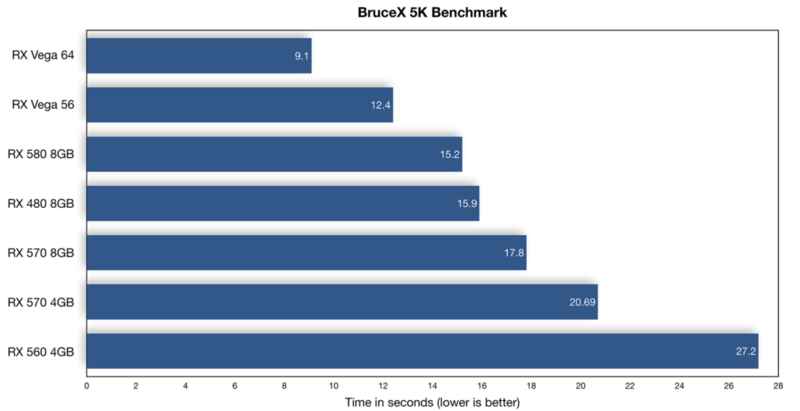 In the BruceX 5K Export test, the 2018 MacBook Pro with Radeon Pro 560X manages 35 seconds. A Core i5 8400-based hackintosh with this card does the same test in under 28 seconds. 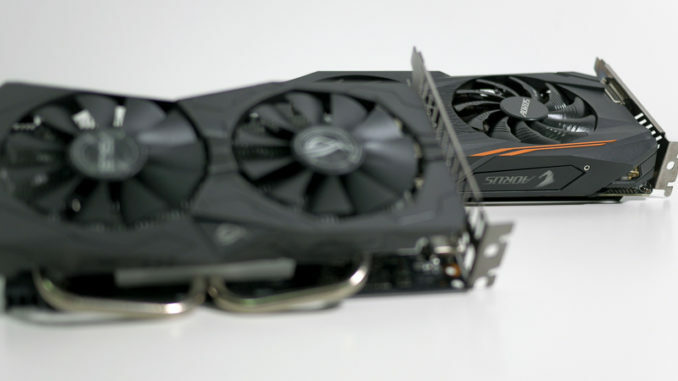 The 4GB version of the RX 570 is a massive step up from the RX 560 – it’s almost double the speed in some tests, for only around 30-40% more money. As well as doubling the memory, the 8GB version of the RX 570 increases the memory clock from 7000Mhz to 8000Mhz, resulting in an overall speed improvement of around 5-10% compared to the 4GB version. The RX 480, although released in 2016 and replaced in 2017 by the RX 580, is based on the same Polaris chipset. 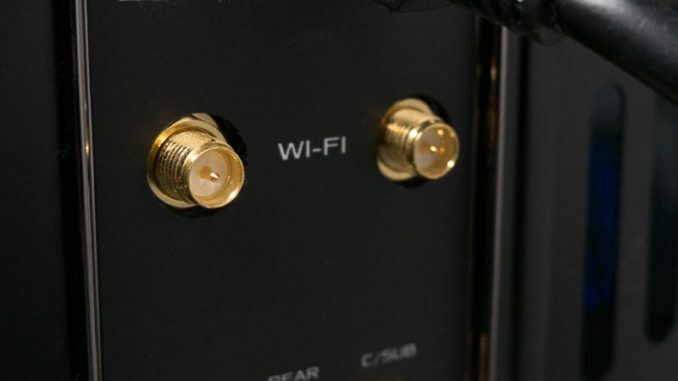 The difference between the two models is actually very small. Because it’s an older card, it can often be found at a bargain price. Performance is somewhere between the RX 570 8Gb and the RX 580. 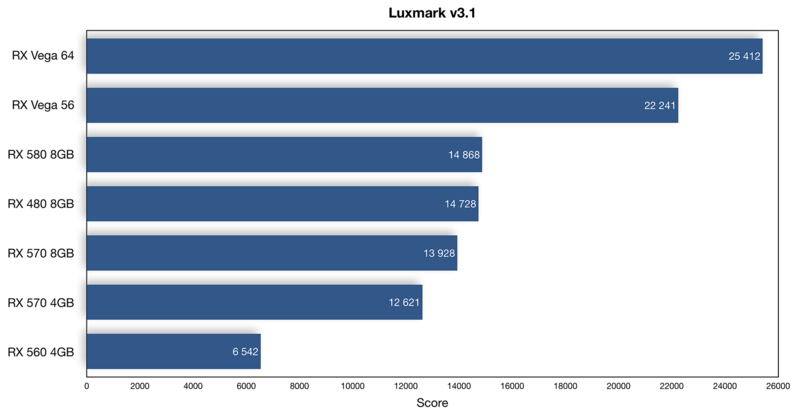 At around 10% faster than the RX 570, the RX 580 is the same card that ships in the top end model of the 27 inch Retina 5K iMac, where Apple have labelled it the Radeon Pro 580. The Vega 56 is the same card shipping in the base level iMac Pro, costing $5000. It’s around 25% faster than the RX 580 on average. The Vega 64 is available as an upgrade option in the iMac Pro, for an extra $600 on top of the $5000 base price. It’s about 20% faster on average than the RX Vega 56. In a hackintosh for high-end content creation and 4K video editing, pairing this card with fast nVME based storage and a coffee lake i7 processor is going to give you a monster machine, capable of outperforming all but the most expensive Macs at a fraction of the price.